I find the architecture in my local cathedral awe-inspiring, and I especially enjoy looking at the shapes in the structure of the ceiling. 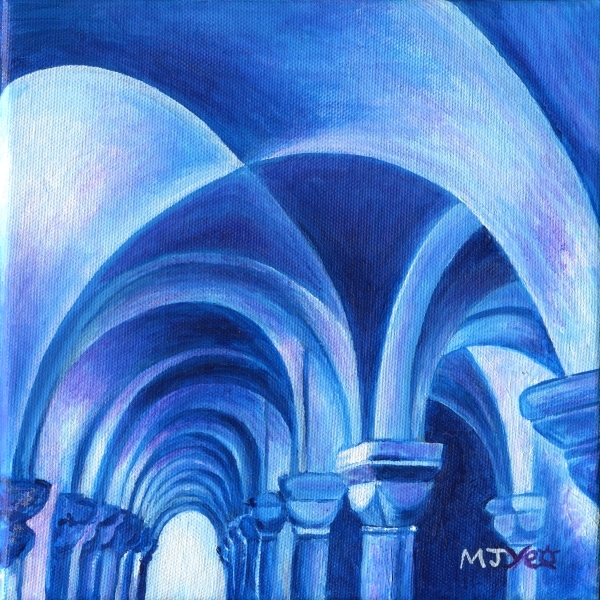 I painted a couple of pictures of ceiling views, using a limited palette. I wanted the shapes to be the most important thing rather than the colours.